Core values are the school's guiding principles that direct the school in fulfilling its mission. Core values define a school's culture. 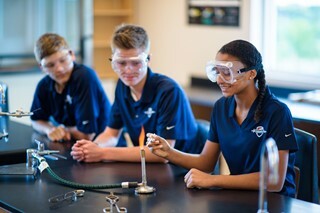 Listed below are Calvary Christian High School’s core values—beliefs which are reflected in our actions because they are deeply embedded in our identity as a school. It is fundamental to our philosophy that parents are ultimately responsible for the teaching and training of their children (Deuteronomy 6:4-6). We do not believe parents can delegate that responsibility to us; however, we do believe they give us the privilege to partner with them to teach and train their children.